If you are owner of Sony Xperia M2 and you've lost the smartphone. What should you do? Don't be panic, you can get the smartphone with Google account. You can using Xperia web service. Locate your device on a map. Sound an alert even if the device is in silent mode. Remotely lock the device and make the device display your contact information to anyone who finds it. As a last resort, remotely clear the internal and external memory of the device. Unfortunately, the Sony Xperia M2 service may not be available in all countries/regions. How to activate the my Xperia service? Then, find and tap Settings > Security > MyXperia > Activate. Third, mark the checkbox, then tap Accept. 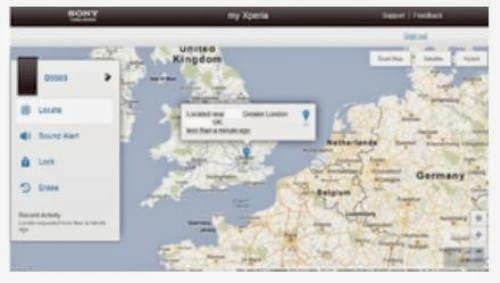 Caution: To verify that the my Xperia service can locate your device, go to myxperia.sonymobile.com and sign in using the same Google account that you have set up on your device.